Bernadett Lengyel is a Hungarian lady passionate about Art who has always dreamed of creating her own Art Gallery. Yet, it seemed that life has decided otherwise and Bernadett has studied a degree in a completely different topic. After graduating in law from the University of Pazmany, she joined a law firm in Budapest. Shortly after, she flew to London in September 2008, to work as marketing and events manager at Lyoness Limited, a shopping community company. It was only few years later, when Bernadett became a mother that her passion for Art came back to her life,as well as the idea of starting an art gallery as a new career path. However, she did not have any particular knowledge in the sector, so she felt lost despite her experience in supporting small business. She thus started seeking for advice among her acquaintances, but without success. "I was discouraged, and willing to give up on my dream to go back to my comfortable life I was not passionate about" said Bernadett. She was in this dilemma when she heard about ‘Erasmus for Young Entrepreneurs". 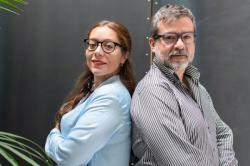 With the help of the programme and her local contact point Hajdu-Bihar County Government, she found her mentor in Spain, Fernando Peracho, with 14 years of experience in the cultural and creative industries. 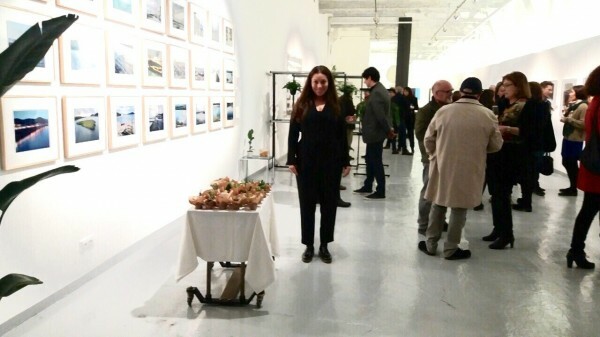 She did not waste time to organise the exchange, and flew to Barcelona in November 2016 for a six-month stay at Valid Foto BCN Gallery, an Art Gallery specialised in modern and contemporary photography. During the course of the exchange, Bernadett learned about the basic principles of an Art Gallery venture. Fernando Peracho spend time to explain her how this business works, from the selection of artists to the organisation of exhibitions, the building of a reputation and clientele to budget transactions. Bernadett said about her exchange:"Getting feedback from an experienced entrepreneur on my business idea was invaluable to test it and make the necessary adjustments that will avoid useless risks". ‘It was definitely the best thing I could do to check whether I was on the right path". "And, it is not exaggerating to say that Erasmus for Young Entrepreneurs has changed my life forever!" From his side, Fernando benefited from a fresh perspective on his business. "Sometimes, when I think that my revolutionary vision or ideas are absurd, they are actually helpful to others as they change their way of seeing things" says Bernadett. Through the way out, Bernadett and Fernando build up a very fruitful cooperation which turned out into a joint business that will be first created in Barcelona and if successful, will expand to Budapest. The idea is breaking with the traditional concept of Art Gallery to instead create a multifunctional space which will host all sort of cultural programmes to attract a wider audience. Nowadays, Art Galleries are perceived by people as cold and lonely temples of art. This new concept should give the opportunity to artists in the beginning of their career to immerse in the Art community.